APRIL is known for its energy efficient mills that have an annual production capacity of 2.8 million tonnes for pulp and 1.15 million tonnes for paper. But apart from having one of the world’s largest integrated pulp and paper mills, APRIL is also widely admired for its emphasis on sustainable development and holistic community-centric initiatives. The company conserves 250,000 hectares of high conservation value (HCV) forests and works with various stakeholders in a public-private partnership called Restorasi Ekosistem Programme (RER) to restore more than 150,000 hectares of ecologically vital peat forest in the Kampar Peninsula. APRIL’s pioneering Fire-Free Village Programme and Fire-Free Alliance have received recognition and support from both the public and private sectors. Just as important to APRIL are its community development (CD) programmes that provide opportunities for the local community. Apart from assisting farmers improve their agricultural yield, the company provides aspiring entrepreneurs with technical and financial expertise to start their own businesses. 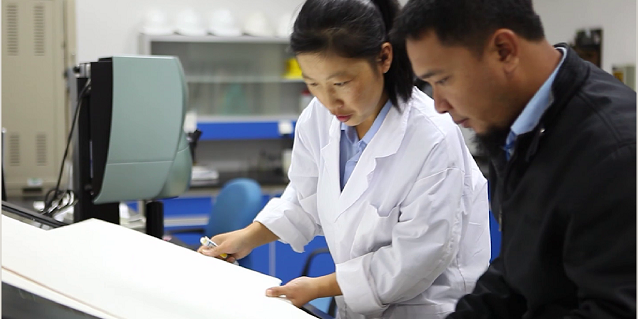 These small and medium-sized enterprises (SMEs) provide goods and services not only to APRIL’s supply chain, but to the community at large as well. 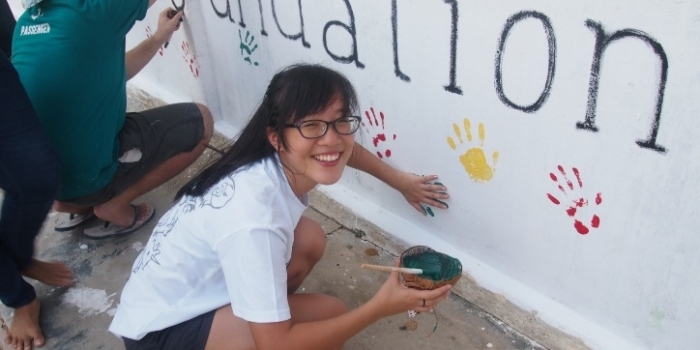 Here are some of the success stories of entrepreneurs who have benefitted APRIL’s commitment to live up to its Founder Sukanto Tanoto’s 5Cs business philosophy – that everything we do, must be good for the Community, good for the Country, good for the Climate, good for the Customer, and good for the Company. 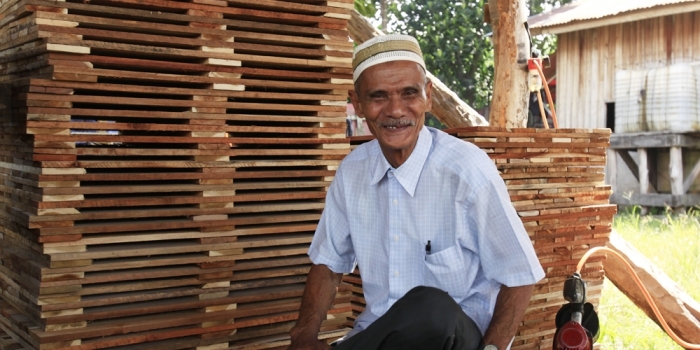 An ex-civil servant, 72 year-old Zamhur showed that age is never an impediment for the entrepreneurial spirit. 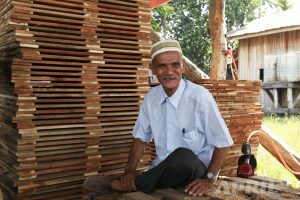 Establishing his company in 2001, Zamhur’s PT Mitra Pallet Consortium Jaya specialises in manufacturing wooden pallets for APRIL. Through APRIL’s recommendation, this father of nine was able to secure a bank loan to start his company. Furthermore, he also received advice from APRIL on managing his business. His story is a heart-warming one – his business has allowed him to finance his haj pilgrimage and his children’s education. Zamhur’s eldest son has managed to graduate from college, while another son is now in medical school. 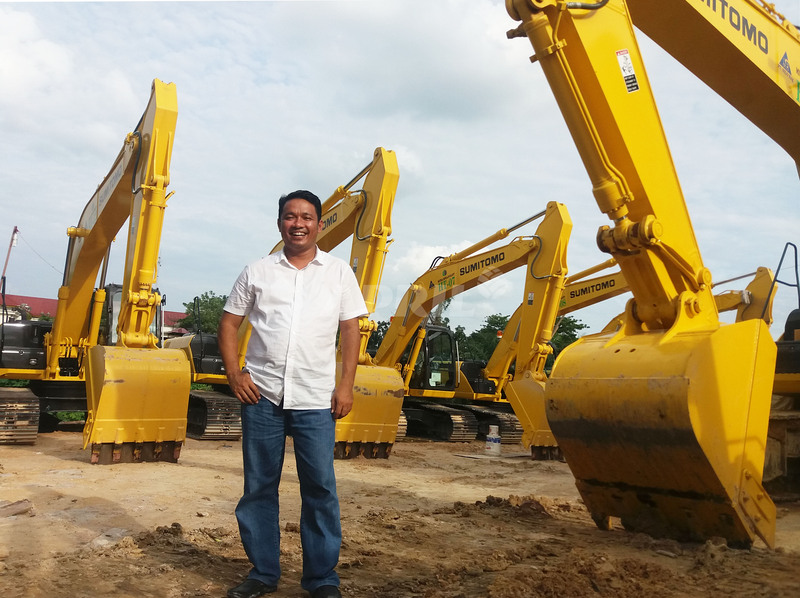 In 2001, then 21 year-old Sulaiman set up his company, PT Rifky Pratama Sanjaya, under the CD programme. Today, his company employs 40 people and supplies up to 600 tonnes of cocopeat, an essential medium to grow acacia and eucalyptus trees to APRIL. Given his strong monthly profits, Sulaiman is now able to provide his workers with a decent living wage, with some benefiting from a quadrupled salary. 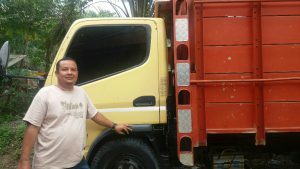 Husni’s story provides an astounding example of what happens when a one grabs an opportunity with both hands. It is a story of raw entrepreneurial spirit coupled with the passion to succeed. Husni started his waste transportation service with a single truck owned by his father. Today, he has a fleet of vehicles and heavy machinery. His prodigious rise is proof of what right guidance and sheer determination can do — transform a one man, one truck operation into a bustling network of activities. Today, Tengku is a father of three who runs an award-winning company, PT Idlal Bersaudara. 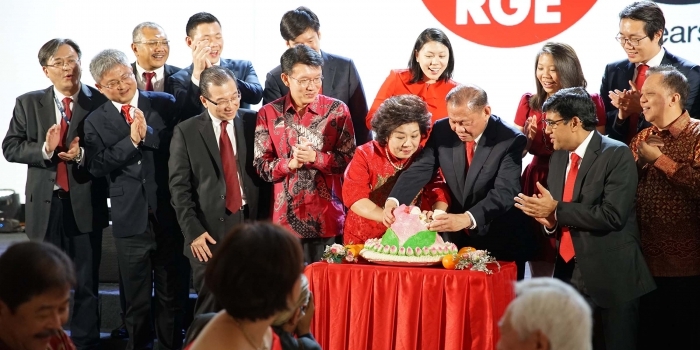 However, Tengku wasn’t always the model businessman he is today. He used to dabble in illegal logging before the CD programme. Fortunately, Tengku finally decided to mend his ways and took the brave leap of faith with APRIL’s help. Today, his company regularly transports fertiliser for the company’s operations. The 47 year-old entrepreneur credits the company for helping him overcome the many challenges he faced as a starting entrepreneur. While Java is known as the origin of batik-making, the women of Kerinci have learned this skill through the help of APRIL’s Rumah Batik Andalan programme. Local housewives are trained to become entreprenurial masters of the batik trade, learning to execute batik motifs unique to the culture of Riau. 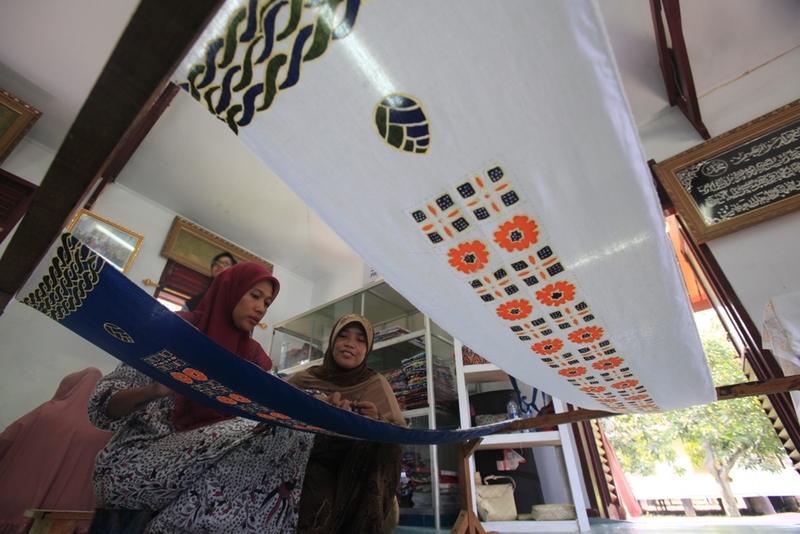 APRIL helped these craftswomen take their Batik trade to greater heights. Today, the Batik pieces made through the programme are sold for profit to both the local market and foreign visitors in Kerinci.